WARNING! This post is obsolete! 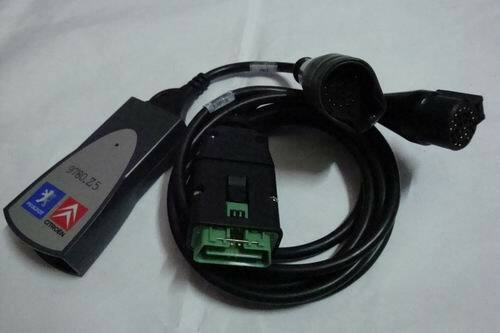 Do not mess with your car using this cable or software! Install ETACS Decoder and get Mini-VCI J2534 adapter. Small memo for Actia XS Evo (or its Chinese clone), often incorrectly referred to as a "Lexia". Why Peugeot/Citroen cable? Because both these brands had or still have models which are rebranded versions of Mitsubishi Outlander/RVR so they made their tool to support those Mitsubishi clones. 1. This is device capable of changing some ETACS settings, similar (but not identical) to dealer's MUT-III. Mitsu's ETACS has over 2 hundred settings to play with! 2. It can be used with Lexia/PP2000 software (obsolete now, not supported/updated anymore!) or DiagBox or ETACS Decoder - best ETACS management tool ever! Seriously. 3. Using it you can do many things your dealer is unable to. 4. It is not an OBDII reader and cannot be replaced with ELM327. - 0.1MHz FM radio step, CT time broadcast, instant RDS display (2010-2013 6CD head units only). Now it is available from many sources including dx.com and amazon.com. WARNING! WARNING! WARNING! WARNING! WARNING! WARNING! WARNING! WARNING! WARNING! WARNING! WARNING! WARNING! WARNING! WARNING! Once again WARNING! Read before pressing Yes in DiagBox! Resetting your settings to default ones could make your vehicle not move! Always save c:\OUD folder in case you need to restore your distorted settings. You might be not able to restore proper values using DiagBox (yet remote rescue session is possible as a last resort, PM me for details). PS Guys, if you copy this message to another website please post a link to here. Last edited by Vadimus; 04-23-2018 at 01:10 PM. Reason: The post is outdated. look at seconds 40 to 50 where they get the 5 digits number in the program. It look like they are getting it from a label on the car that is also showing tire pressure (Pressions in french). One good fellow provided me with this code, now I can do almost every trick available to MUT III. 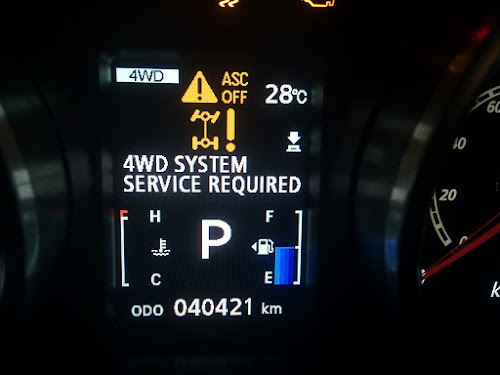 I've already changed some options on my Outlander, today will try to disable TPMS warning. Guys, there are LOTS of settings to play with - like activation of built-in factory alarm or autoswitch from D to N while idling. I have seen prices from $175 usd to $80 usd the only difference is the quality of the web site and the language. I bought it from China, Uobdtech.com, - Lexia 3,pp2000,lexia-3 ,Lexia_3,Lexia3,china-Lexia 3,china Lexia-3,Lexia_3,Launch x431,lexia 3,x431 master,x431 diagun,x431 gx3,benz star, Mb star,VAS5054A,VAS 5054A ,AD900, AD 900 AD900 key programmer,SBB,sbb key programmer,Vag com, . I paid $130 including shipping, and extra ~$18 as a customs fee charged by DHL. It took about 5 days. The device itself seems quite solid, heavy and reliable. I turned on some options including the speeding warning - it kicks in at about 117 kmh - IMHO it's quite useful. PS Is it forum engine changing store link text to look like an ad? I did not write it. Last edited by Vadimus; 08-04-2011 at 01:52 PM. I have seen this before. The target web site has this extra or more info attached to the web address and when the posting is done in the forum the forum software check the validity of the link and post everything that is available from the web site. Not your fault but a "Feature" from the forum. Last edited by Claude_A; 08-04-2011 at 03:50 PM. Vadimus...did you get the Lexia 3 PP2000 v22 or the v23 model. The v23 model is on sale for $99 US dollars...the v22 model is $115. And based off of the video for the 5-digit code...it works?? Did you get the TPMS turned off? Is the software like the one in the video? If my wife gets her doctorate job...I really want this! Yes, software is like shown in the video, though with English interface. I've turned TMPS off, but I haven't yet tried to deflate or remove wheel to see if the warning is gone. BTW, disabling the TPMS is illegal in the States, isn't it?